Keeping your files and thoughts organized on a Mac can be a similar hassle than keeping your flat nice and clean. A lot of times, random files land on your desktop because you don’t really know where to put them. And soon enough, your desktop ends up full with junk files covering your beloved background. Same thing with random notes. Doesn’t matter if you religiously use Evernote or Word to write down your notes. You still need to open the program and find the note you’re looking for. I’ve been using Unclutter for a long time now and I’m a big fan. 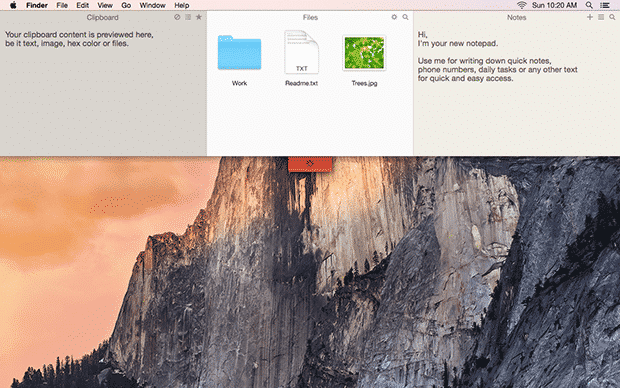 As the name already says, it’s goal is to clear up the clutter on your Mac. It stores notes, lets you dump files in a dedicated folder and access all things you copied to your clipboard. 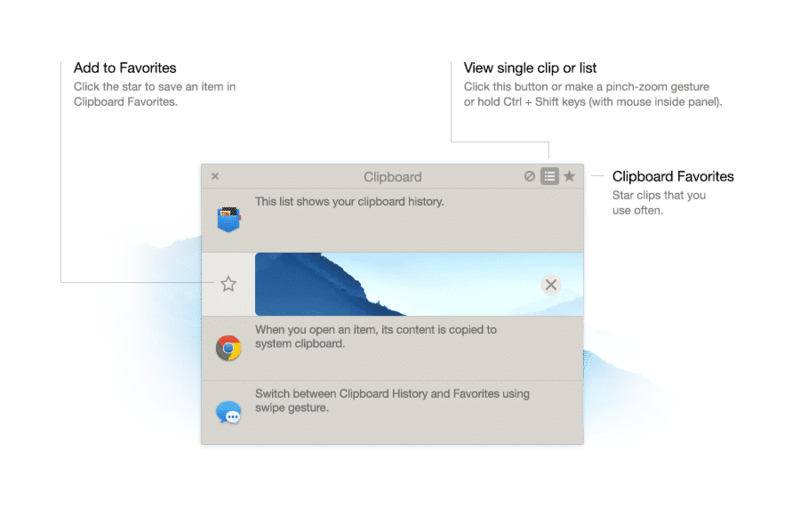 That’s best thing, however, is that you can “reveal” Unclutter very quickly by moving the curser to the top of your screen and swiping down with two fingers (or scrolling down with your mouse). 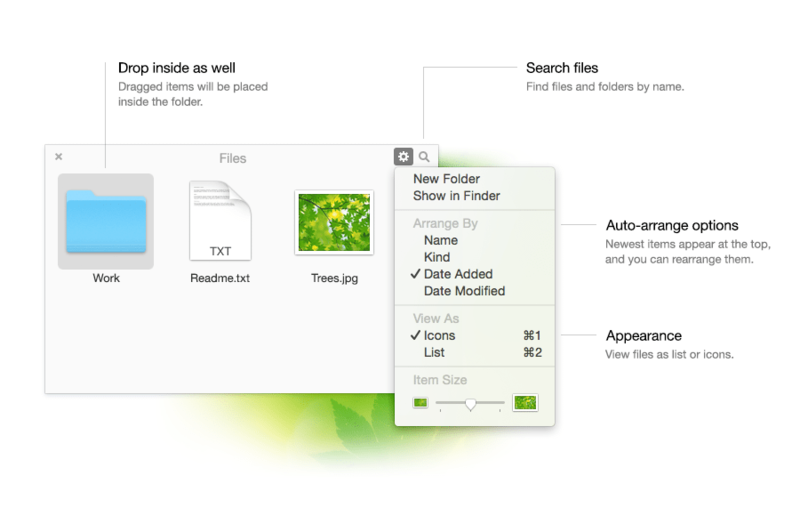 Unclutter is divided into three sections dedicated to notes, clipboard history and file storage. Let’s have a look at each one of them. Creating notes with Unclutter is as easy as it can get. All it takes is swiping down from the top of your screen to reveal the tool and you can start typing in the right note section of Unclutter. For instance, I use the notes to be able to quickly access a few important phone numbers and other data. 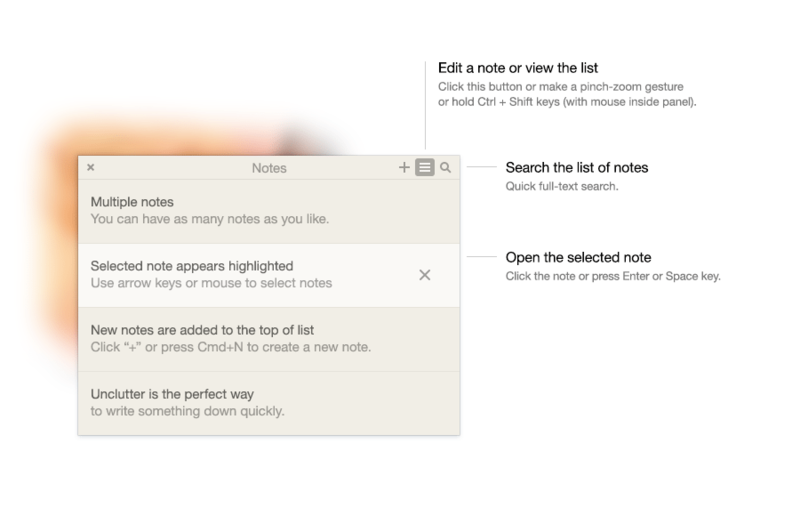 Unclutter also allows you to create as many notes as you want and lets you search through your notes. The middle section of Unclutter allows you to dump all sorts of files that would usually end up on your desktop. It functions as your “random stuff” folder that only appears when you want it to. To keep things even more organized, you can create and use folders within the tool. Since the last update, you can even sync your hidden files with Dropbox. Unclutter’s left part shows a list of all words, sentences and other content that you copied since its launch. That’s pretty helpful if you want to access something that you copied a while ago. Selecting the item you need will put it back into your clipboard, ready to be pasted. In case you come across something that you reuse regularly, you can bookmark it by clicking the star on the left. Unclutter is a great productivity tool and I use it every day. It has improved my Mac experience a lot and I recommend it to anyone with a Macbook. Good apps like Unclutter are rarely for free but it’s worth the small investment of only $2.99.